If you’re considering adding a dog to your family, congratulations! Dogs make great companions, and with a little forethought, there’s bound to be a dog that’s right for you. However, think about your lifestyle and the ideal qualities you’d like in a dog first. You probably already know this, but some dogs are high-energy working breeds best for active people with an outdoor lifestyle. Border collies are one such breed. These are working dogs who NEED to work. Keep them locked up without enough exercise and they’ll create a job for themselves—and it won’t be anything helpful like putting the dishes away. Instead, they may eat your couch or strew the trash all over the kitchen. It’s not that they want to be a “bad” dog; they just need a positive outlet. On the other hand, if you’re active and looking for a hiking companion, such a dog might be great for you because they’ll be happy to bound around outside all day. You know your activity level and whether or not you’re a homebody or like to travel a bit. These are important considerations when thinking about your doggie companion. Will they accompany you on trips? Do you want to get out and walk a dog around your neighborhood a couple of times a day? If you’re moderately active and like to walk, a senior dog might be a good fit for you. The shelters are full of great animals who for one reason or another ended up there—life changes like divorce and sickness are big reasons. They have a lot of love to give and deserve a second chance. The bonus is many of them are already housebroken and know how to walk on a leash. However, if you’re not very active, you may want to consider a small dog who doesn’t need a lot of exercise. Shih Tzus and Bichons are great for less active households. They’re happy to curl up beside you on the couch while you read or watch TV. 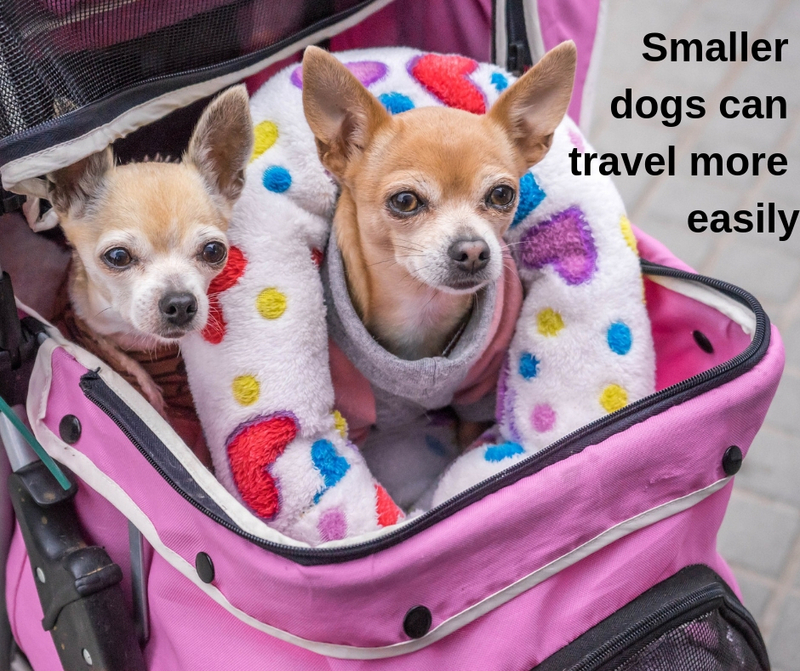 They don’t require (or want) lengthy walks, and they’re easy to travel with because of their size. They’ll fit in the backseat or under an airline seat with no problem. Another thing you want to consider is the strength of the dog and their training. We’ve known people of all ages who found it difficult to walk their dog simply because their dog was stronger than they are and/or not well-trained. No one wants to be pulled down the street because their dog decided to chase a squirrel. Not only is it not fun, but it can also cause an injury to you or someone else. Shelter staff and volunteers play the role of matchmaker when it comes to finding good homes for their charges. They’ll ask you questions and help you find the right doggie companion for you. And, of course, you are welcome to reach out to us with questions during your search. At the end of the day, there is no one “best dog” for you. It’s all about finding a good match. What are you looking for in your next dog?